Test reports in journals are important for all kinds of products. Headlight lamps among them. Reviewing them isn’t so easy, however, so misjudgments can creep in. This has happened a few times lately. Car fans tend to look at the headlights and assess them standing about ten meters in front of the car. No expert would think of doing that. Instead, they only look in the direction the headlights shine. They would also never focus on areas that are only a few meters in front of the car. You won’t need light there, or only very little. At normal speed, no driver can react to an obstacle that appears so close to the vehicle. Therefore, high-performance lamps are optimized to illuminate areas that are between 50 and 75 meters in front of the car. According to good test reports, the long “light finger” on your own side of the road is important, not the area directly in front of the car. There are inexperienced lamp testers, though, who expect good close-up illumination. If a lamp provides it, the light will be missing from the areas further away, which are key for safety. The amount of light is limited by regulations and physics. Engineers speak of luminous flux measured in lumen. For dipped beam, an H4 halogen lamp can emit 1,000 lumen, and an H7 1,500. Developers try to get as much of that to reach the important parts of the road, which they call 50R and 75R, referring to the distance and the right-hand side of the road. For left-hand traffic it’s mirror-inverted of course, and they are called 50L and 75L. North America uses different measuring points, but the basis is similar. To get as much light as possible to these important areas, the aim is to remove light from close up. Criticism in car magazines that a lamp doesn’t have a very wide beam is therefore also out of place. Whereas broad illumination is generally a good and pleasant thing, it would also be necessary to remove light from the more important parts. It’s hard to judge the performance at this range without complex measurement technology. A good test report should contain information on relevant values though – and on luminous flux and the geometry of a lamp. 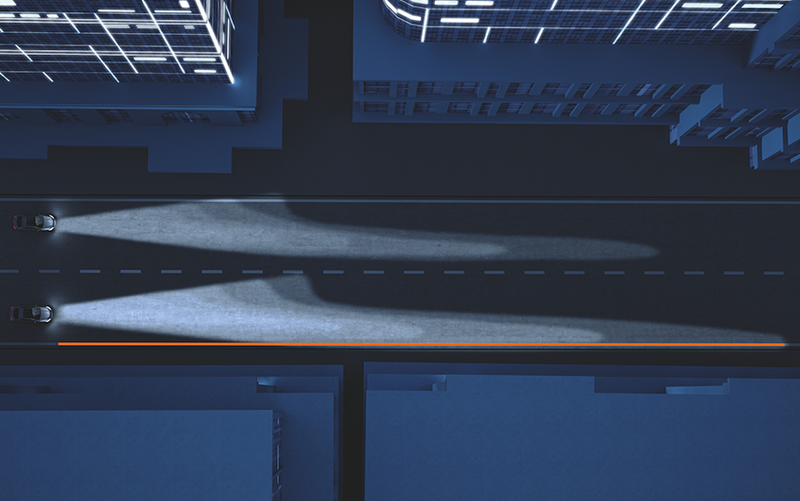 The latter determines whether the headlight can distribute the light accurately on the road. This is particularly important for glare. When it comes to geometry, no-name products very often turn out to be inferior in serious tests – and remain so even if, more or less randomly, they illuminate the road close up and over a wide range.